A unique robot that can make even the most rigorous exercise more interesting and exciting. 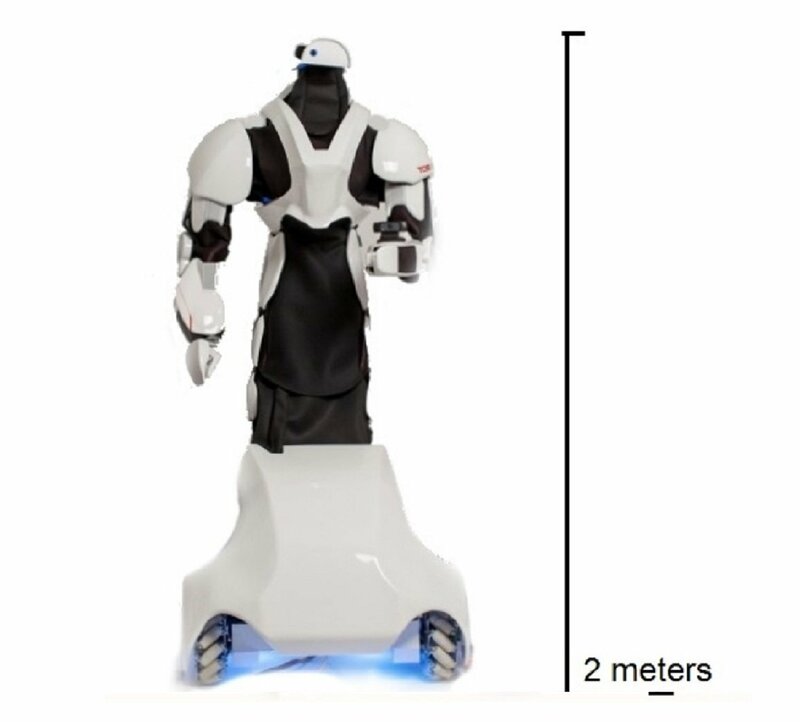 This humanoid has a futuristic design that allows you to transfer guests from the ordinary present in an amazing future. Why not use the device to attract new customers and entertainment old ones? This robot can become indispensable in the field of advertising. Such a promoter can gather a crowd around him in a matter of minutes. Unusual appearance and ability to move smoothly and naturally attract the attention of an audience of different ages. With all this, the robot is courteous and attentive, just like a man! He can shake hands, greet the guest and even bow. Equipped with speech recognition and facial recognition functions, so it is easy to answer questions of varying complexity. The best consultant just can not find! The robot brings the future and the world of new technologies directly to the room where the meeting or conference takes place. Speech Synthesis The telepresence function turns a conventional machine into a better promoter or hostess.